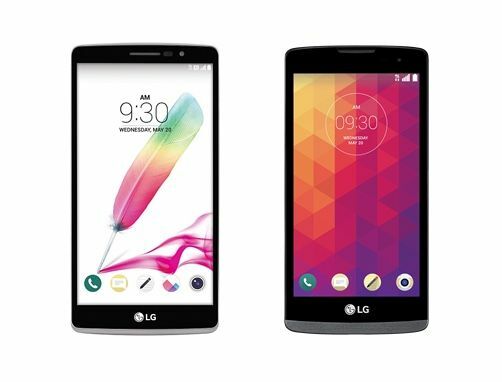 T-Mobile has confirmed what we already knew today and launched both the LG G Stylo and LG Leon LTE. Both devices are aimed at the bottom end of the market and serve different purposes at different price points. The G Stylo is a budget phablet with a stylus available for $289.92 full retail, or $0 down and 24 monthly payments of $12.08. Its smaller sibling, Leon LTE, is almost half the price at $149.76, or $0 down and 24 monthly payments of $6.24 to postpaid customers. Both devices are available to buy from today. That’s not all the news. You may remember we got hold of some information just a few days ago which stated T-Mobile would be offering the Leon LTE for free to prepaid customers. The carrier confirmed that move this morning. Prepaid customers can get the LG Leon LTE for free (after online rebate). You can find out more details about who qualifies for this discount in our earlier post. To order online or read up on the specs, check out the G Stylo product page here and the Leon LTE product page here. MetroPCS customers, you’ll also be getting both devices, but you need to wait a few more days before they’re available. Metro will be selling the Leon LTE for $49 (after instant rebate) from this Friday, May 22nd. As for the G Stylo, that’s going to be available from June 1st and costing just $199. Where did T-Mobile confirm this? I don’t see it listed online. Update: I have a friend at a store getting this deal now. So boost and metroPCS both get the Stylo for $199 but t-mobile customers get it $290?? What the hell is up with that?? It seems it’s only a Snapdragon 410. Alcatel One Touch Idol 3 (that needs a shorter name) wins with the octa core 615. I am sure H631 will be a backup phone. I wish it was just free period for new customers because my little sister is going to be getting service on my plan. I hate the fact that Metro is getting two new LG phones with the same stupid internal memory…is it super confirmed that the Metro version of stylo is only 8gb ?.I have been looking around the web for the past week and cannot find any solid information. it makes no sense that t-mobile would get the 16 gig version but Metro dosent.I swear,this merger between metro and tmobile has been a bust. It’s possible Metro version is $200. Moreover, T-Mobile version can be used with Metro without SIM unlocking (but it cannot be done opposite way). Here is what I found at T-Mobile store. The screen is slightly bigger than G3, but you can use G3 screen protector if you want a quickie. The battery may be same as G3. Unfortunately, none of the store’s sales would open up the back to check. Incipio has case for $30 and tempered glass for $35 (Spigen one for G3 is OK). The stylus isn’t same as “rubber head” and it won’t work with other phones.